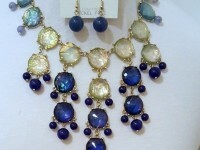 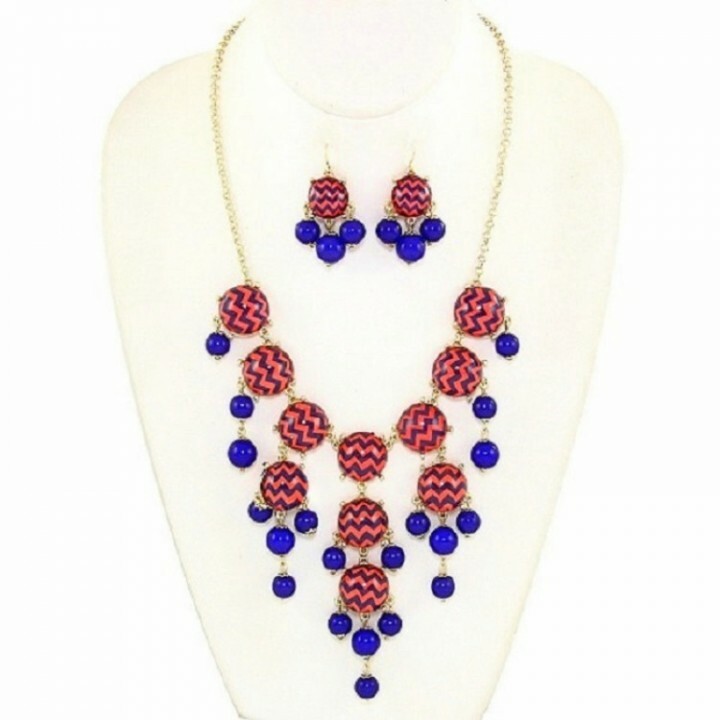 Long gold plated pink and royal blue chevron design bubble bead necklace and earring set. 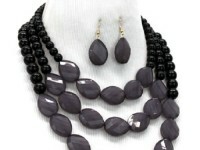 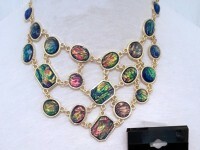 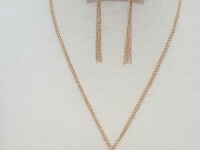 - Necklace measures 26" - 28" long. 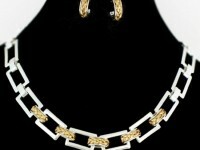 - Decor is approximately  7" long and 4 1/2" wide. 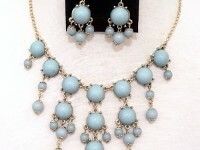 - Earrings on fish hooks are 1 1/4" long and 1" wide from bottom of hook.